Everything that you ever wanted to know about your car. 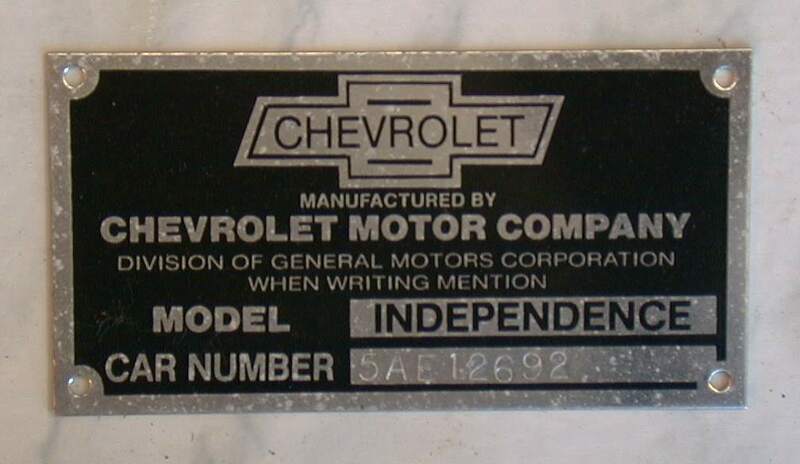 This pages is to assist anyone who is restoring a 1931 Chevrolet and wants to find out the history of their car. 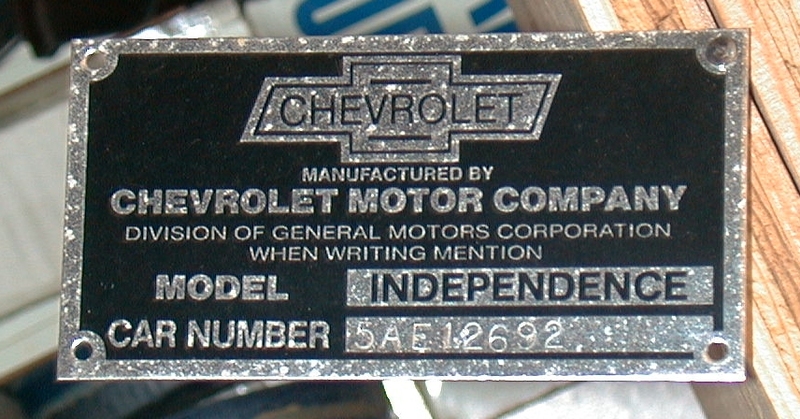 There is a common misperception among novices that a "31 Chev has a VIN (Vehicle Identification Number). This is completely false. 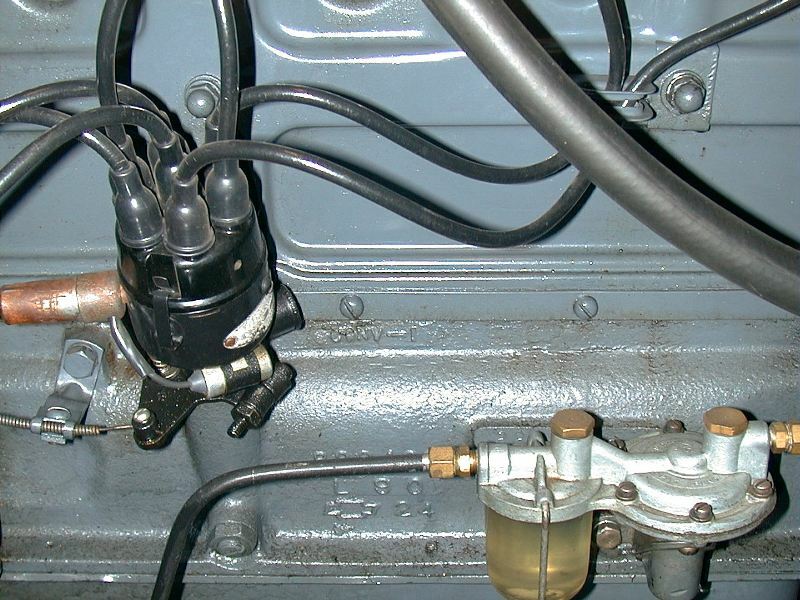 The VIN is a relatively new concept and is not consistent with previous practices. 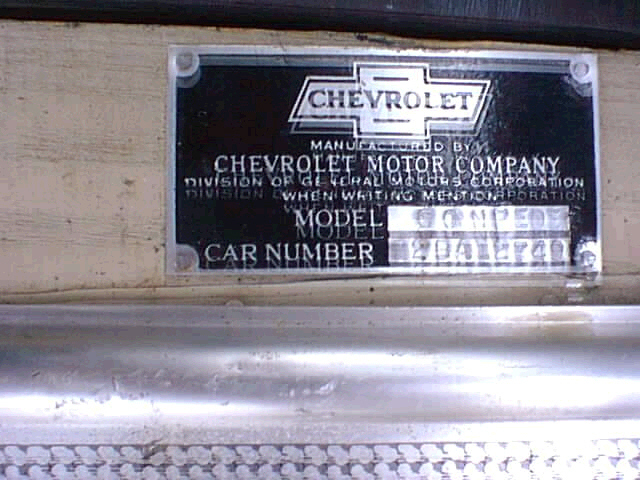 When you owned a Chevrolet that was new in 1931, it was titled in different ways by different states. I have owned cars titled in Connecticut, Virginia and Washington State. 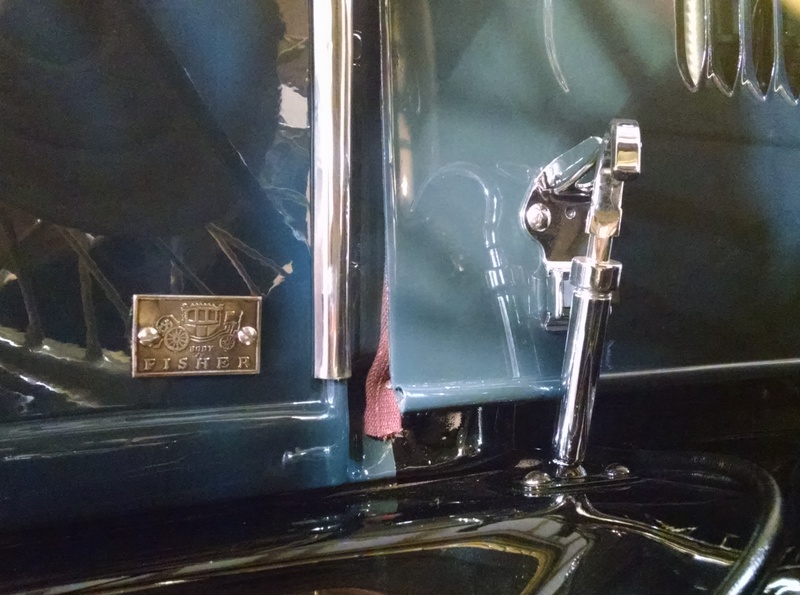 In each of these, the "original" titles that came with the cars listed the Vehicle ID as the engine serial number. This appears to be the most common identification method. Some people have purchased cars in which the Vehicle ID is listed as the Car Serial Number... This is not a particularly good practice since these tags are easily damaged, lost and just as easily forged. Now, if you think about it for a minute, you'll also realize that using the engine serial number isn't all that great either. What happens when you swap out engines? (Which I have done on nearly every car that I've owned.) 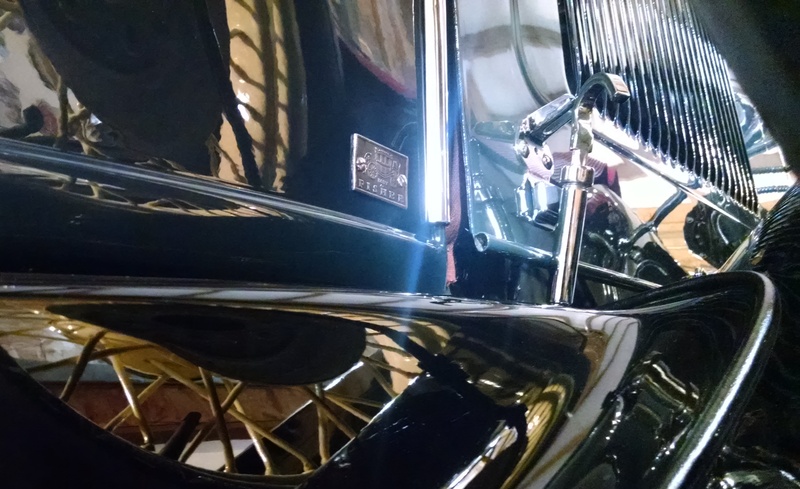 This is probably the reason that a lot of states now rivet an aluminum tag to the frame and use that as the new vehicle identification number. 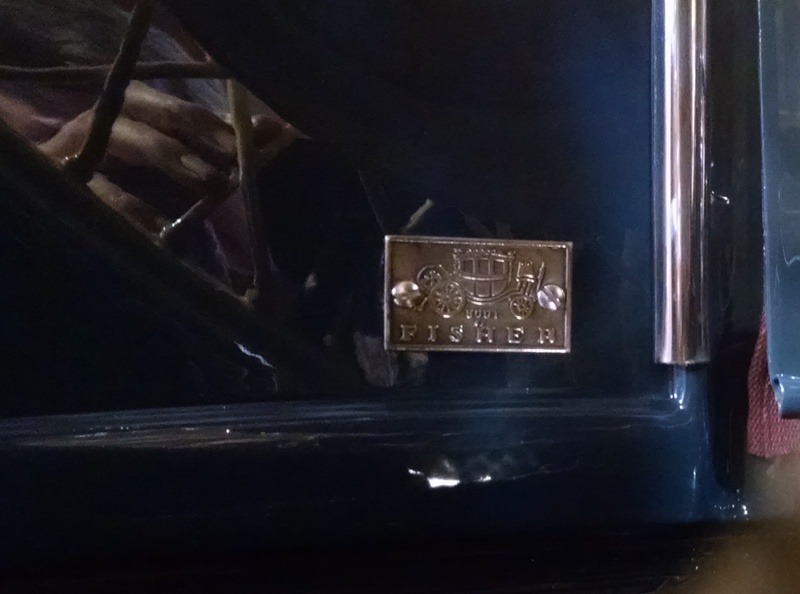 Note: GM of Canada included the car serial number on this tag. US Cars did not. 12692 = 11,692th car off the assembly line since the first number began with 1,001. 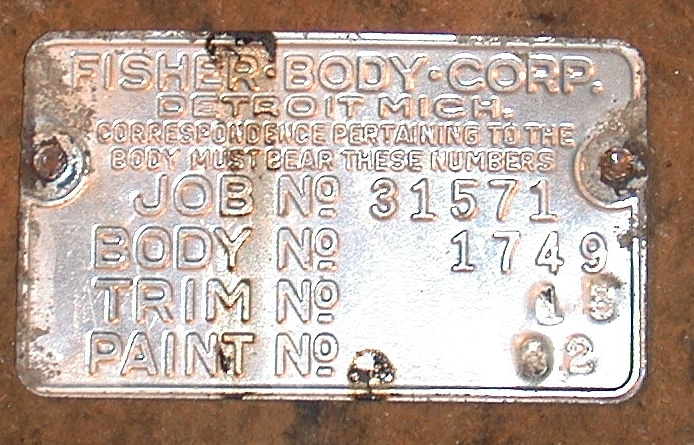 Stamped at the factory. 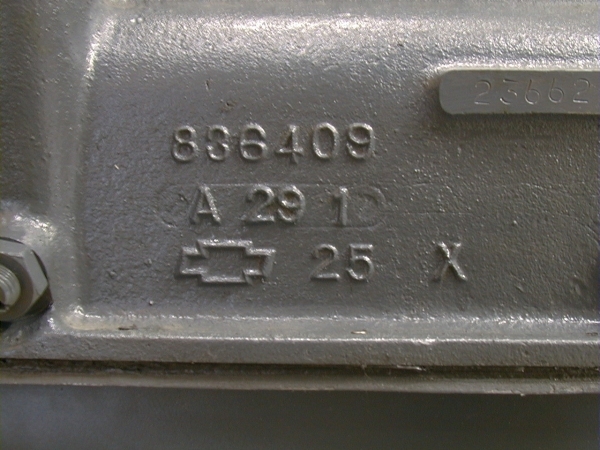 Located on the machined pad on the block directly behind the fuel pump. Consists of seven digits. 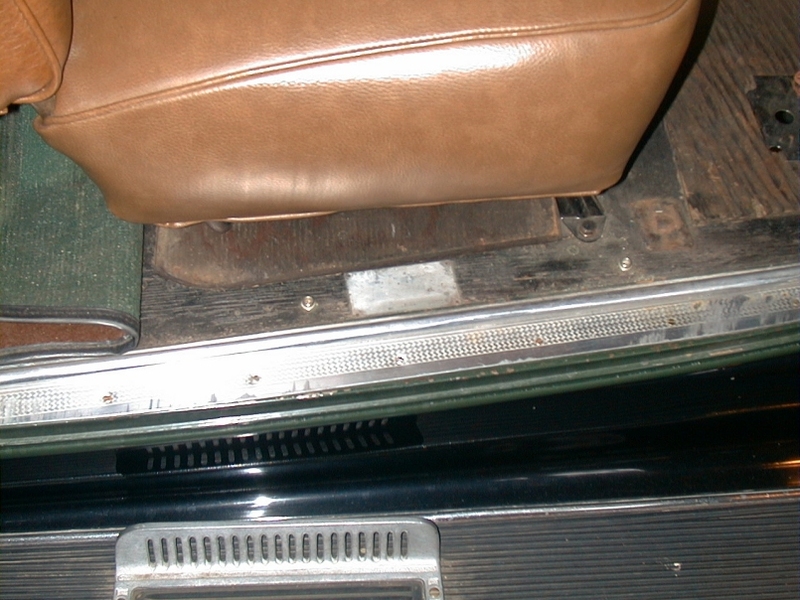 Note: Replacement engine blocks were delivered to jobbers without any number on them..
Brass metal held by two screws. Located on the passenger right side cowl.